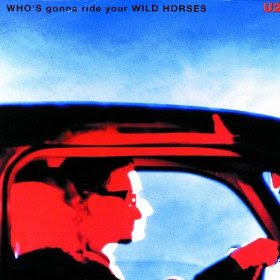 "Who's Gonna Ride Your Wild Horses " is the fifth track on U2's 1991 masterpiece, Achtung Baby, and was released in 1992 as the album's fifth and final single. U2 were not satisfied playing it live and the song has only made it to the stage a few times. The lyrics of the song are universal in their appeal, they appear to be about someone letting go of someone at the end of a relationship. Who could tame the heart of thee? Check out the lyrics to "Tryin' to Throw Your Arms Around the World" and the classic song "Ultraviolet (Light My Way)". I'll ride the horse, I'm a jockey! I'm dangerous cos I'm honest too! This blog sux.